Neverending fun is guaranteed with our World Cup Games! The best world cup free games are waiting for you at Miniplay, so 3... 2... 1... play! 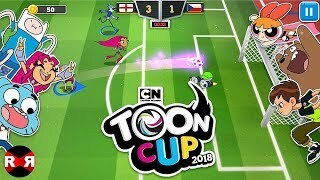 Join the Toon Cup 2018 with your favorite Cartoon Network characters and enjoy just like if you were in Russia! Choose your players, create your team and get ready to score! Choose your favorite national team in the Russia Cup 2018 -- shoot from anywhere on the field controlling your favorite players -- Cristiano Ronaldo, Toni Kroos, Messi... 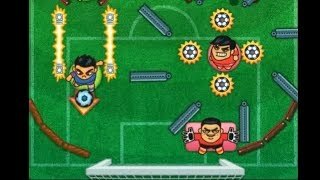 Try to hit the targets and avoid the goalkeeper! 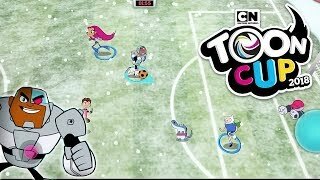 Join the Toon Cup 2017 with your favorite Cartoon Network characters! Choose your captain and the rest of your team and get ready to score! Become a champion! Enjoy this soccer game that will help you get ready for the next World Cup in Russia! Jump on the field with your favorite national team and enjoy the retro graphics. Use all sorts of tricks and skills to get the ball and score! Will you become the world champion? Choose your favorite national team and win the seven matches in the South African World Cup. Press the arrow keys to move, X to pass the ball and C to shoot. Be a football expert and win! World’s top football players will be at Russia this summer fighting to be the best football team in the world. In Miniplay we prepared a special event so you can show how much do you know about football. Choose wisely between the participant teams and get incredible rewards. Guess the winner and the results of every match on each round and get points showing how much you know about football. Get ready for the Soccer World Cup and train hard to learn the best moves! Will you become a pro scorer? Cross the field, kick the ball and reach your rivals' goal! Put your skills to test with this fun game! Enjoy this super fun puzzle game based on the Soccer World Cup 2018! Troll the most famous players in the world in this unique adventure. Solve each stage by clicking the right items at the right time and find crazy ways to clear every stage. Observe Ronaldo's beautiful statue, help Messi score, stop Zlatan before he gets into a fight... Have fun! Enjoy this arcade soccer classic originally released in 1994! Choose your favorite team and get ready to score as many goals as you can. Move around the field, take the ball off your rivals and kick! Can you win the World Cup? The Soccer World Cup 2018 has started in Russia! 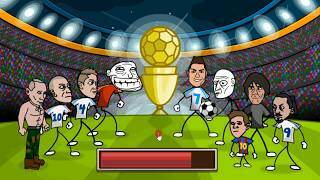 Discover this 3D game where you can practice as much as you want -- customize your character, upgrade his skills and win the cup with your favorite national team! 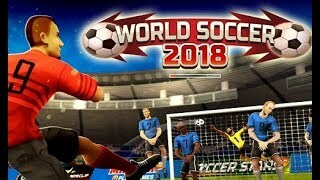 Take part in the World Cup 2018 and become the best soccer team of the world! Take penalties and shoot the ball into the goal. Choose from a wide variety of countries that take part in the football cup 2k18. 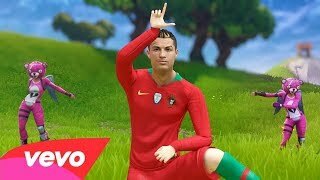 Become the worlds best football player in World Football Kick 2018! Enjoy this Neo Geo soccer classic that was an arcade hit! Choose your team and get ready for the match -- will you become a champion? Ready for the soccer World Cup? Aim for the goal and score in this penalty shootout! Guard your side of the field when it's your rivals' turn and enjoy playing your favorite sport! Enjoy a throwback evening with this EA classic that was released for the France World Cup in 1998. Lead your national team to victory and become a champion! Join the Soccer World Cup 2018 in Russia! Instead of playing a full match, you'll face other national teams in a penalty shootout -- test your luck with 9 kicks and try to score at least 4 goals in order to get to the next stage. Good luck! 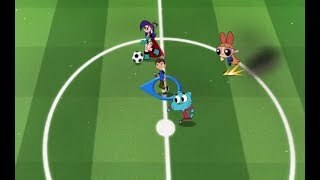 Join the craziest soccer game with your favorite Cartoon Network characters! Select your players and join the Asia Pacific Cup 2018. Score as many goals as you can in order to win! Enjoy the Toon Cup Africa with your favorite Cartoon Network characters. Choose your leader and teammates and get ready to score!! Do you want to become a heady champion? Choose your favorite national team -- Brazil, England, France, Germany, Spain, etc. -- and lead them to victory! Two players can join the game. The Soccer World Cup is about to start, and your favorite TV characters are ready to play! Choose your favorite one and put your skills to test! Best Eleven: World Cup 2018 is a football manager game. The game simulates the entire football game through an independently developed AI engine. In the game, you can match players’ skills with tactics to create all types of gameplay. Join the UEFA Euro 2016 with many characters from Cartoon Network! Choose your captain and the rest of your team and get ready to score as much as possible. Become a champion! It's time to prove that your yearly training was useful! Manage to win the Euro Cup with the help of your national team! Cross the field dodging your fierce rivals and try to score - good luck! Play 2016 international soccer championships including the Euro Cup, Copa América and the World Cup. All soccer teams and kits are updated for 2016! A full 11-a-side match with an easy control system. Use the mouse to move, tackle, change players and shoot at the goal. Throw-ins, corners, goal-kicks and penalty shoot-outs with smooth graphics and physics. Can you lead your team to victory? Penalty shootouts are extremely stressful, so try to stay focused. Get ready for the Euro Cup and aim for the finals by scoring as many goals as you can! Get ready to enjoy the world cup! Choose a country and face your rivals in order to become a winner. Good luck! Beware of the goalkeeper, shoot and manage to score as many penalty goals as possible! Try to stop your rivals' and enjoy your favorite sport! Are you ready to play the Italian soccer finals? Choose your favorite team and prepare to score! Watch your own goal and enjoy a thrilling match! 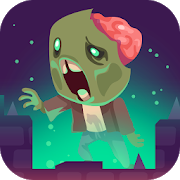 Choose your favorite country and join the World Zombies Cup, where you'll have to run and bite the players you find on the field. Spread the virus and keep away from the referee, who will try to shoot you. Good luck! Free kick time is here! Choose your favorite team in the Italian Lega and help your teammates win the match. Will you become the new Lega Calcio champion? Welcome to World Cup Brazil! Choose your favorite national team, try to head goals and distribute the experience amongst your players. Both single-player and two-player modes are available. The soccer World Cup final is settled after the penalty shootout! Aim, choose the right power, shoot and try to score a goal. Help your goalkeeper when it's your time to stop the ball – good luck! It's penalty kick time! Choose a side and lead your teammates to victory. Will you manage to battle your nerves and win this final stage in order to become the 2014 champion? Penalty kick time! Choose a national team and help your colleagues win this final stage and the match. Will you become the soccer World Cup 2014 champion? Being the referee is no easy cake! Can you make the right decisions in the decisive moments in each match? Answer the questions and get ready to referee a World Cup 2014 soccer match. Which soccer player will you address your voodoo arts at? Curse and cast black magic on the national team you hate the most. Will you manage to win the World Cup Brazil? The 2014 FIFA World Cup is about to start in Brazil, and your favorite TV characters are eager to start playing soccer. Choose your player and prove your skills in order to win this world cup! The Brazil Soccer World Cup is near the corner! Choose the direction, spin and power of your free kick in order to score as many goals as you can. Join the game, feel the thrill and try to win this match! Choose your favorite team and get ready to take part in the FIFA World Cup Brazil. Put your accuracy to test and become the leading scorer with your powerful shots! Take part in the South African World Cup choose your favorite national team and win! You'll only need your mouse for all the moves. Do you wanna win the South African World Cup? Choose your favorite national team and defeat them all! Move with the arrow keys, press A to pass the ball and S to shoot. Choose one of the soccer national teams that take part in the South African World Cup and win! Get the highest score. How much do you know about the Soccer World Cup? Choose your language and give the right answers to the questions in as little time as possible. Try to get the best score and enter the ranking! Choose one of the 32 soccer teams that take part in the South African World Cup and try to win! Choose your favorite national team in the South African World Cup and try to win. Use your mouse to control your team and to shoot. Join the fun with this soccer game similar to Arkanoid. Choose your favorite national team, take part in the World Cup, defeat your rivals and score incredible goals! After the Soccer League, the World Cup is here. Choose your favorite national team and win! Use the arrow keys to move, A to shoot and S to pass the ball. Choose your favorite national team and take part in the South African Soccer World Cup. Will you be the best? This is a table-soccer version of Germany World Cup. Choose your favorite national team and play the finals! You have to help this soccer player go from his office to the stadium. Kick the ball pressing R, F or V and collect as many coins as you can. Shoot-Out 06 Get ready for Germany FIFA World Cup! Train and enjoy shooting free kicks from the penalty area. Enjoy this game based on two of the most famous soccer games World Cup 2002 and Champions Cup. Java plugin is required. 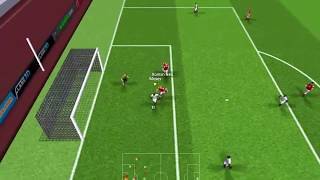 In this soccer game you'll have to use the arrow keys to control your player and press Shift to shoot or pass the ball. Choose a soccer team, enjoy a 3v3 and score as many goals as you can before time's up. Gringo Hero: Russia Championship | Funny World Cup 2018 Gameplay | Don't Let the Neymar Fall!